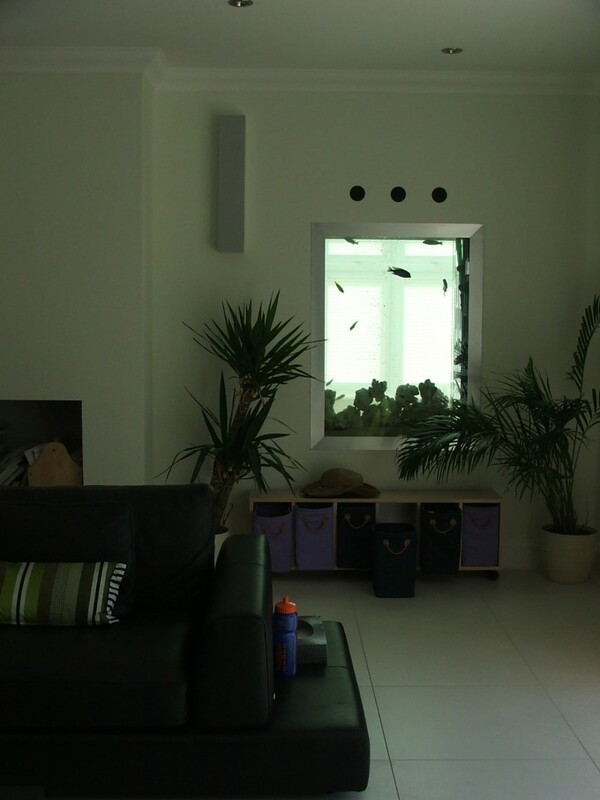 A doorway aquarium in a house in Surrey. Our client wished to fill in a doorway between his lounge and conservatory as it was no longer used. During our initial visit we took accurate measurements of the doorway and designed an aquarium based on his main brief which was to fill as much of the doorway with an aquarium, allowing for sufficient space below for a good filtration system and enough space above for maintenance. We then built a base and hood in mdf and built the aquarium so that the three units together would exactly fill the space. Once we had installed it our client asked his decorators to paint the mdf to match his existing colour scheme.